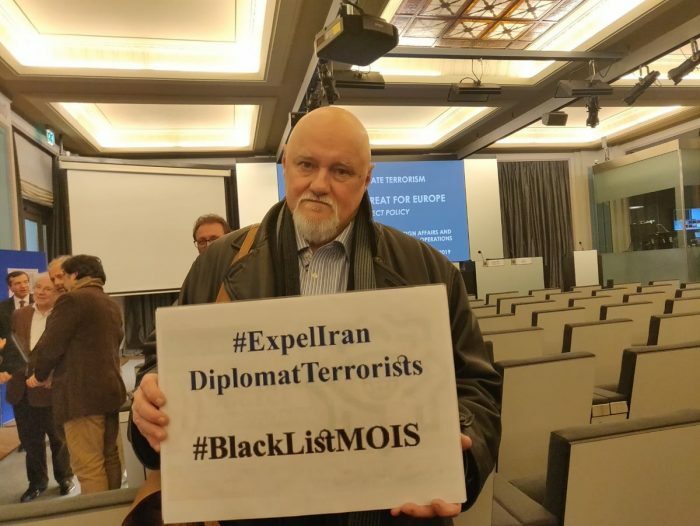 Middle East analyst and counter security expert, Claude Moniquet released an in-depth report examining the Iranian regime’s terror plots on European soil. 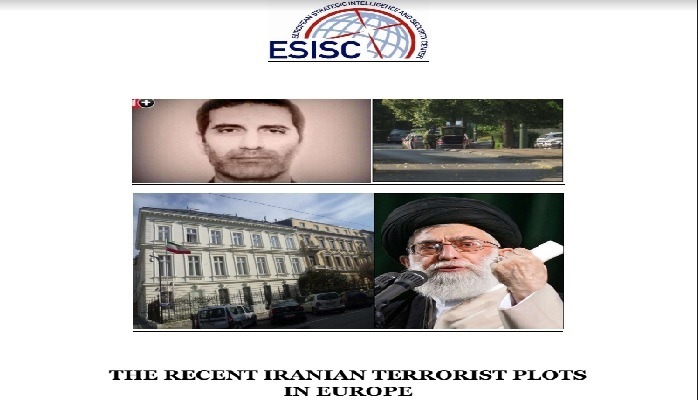 Entitled, “The Recent Iranian Terrorist Plots in Europe”, the 35-page document charts the recent developments in the Iranian regime’s use of terrorism and places them in the context of the domestic political and social landscape within Iran. “In 2018, the Iranian regime, facing a domestic uprising, collapsing economy, and international sanctions, took the decision to step up terrorism on European and US soil against the Iranian opposition movement,” Moniquet writes. Moniquet outlines the regime’s involvement in two plots against the People’s Mujahedin Organisation of Iran (MEK), one in France and one in Albania. He also highlights regime involvement in a plot to kill an Iranian dissident in Denmark and a plot in the US that was foiled during the surveillance stages of planning. In the wake of the increase in terrorist plots, the Netherlands, France, and Albania expelled diplomats. The French government also levied sanctions against the Iranian Ministry of Intelligence (MOIS) and two Iranian officials. The regime has been embroiled in a dozen terror attacks since it seized power four decades ago. In 1979, it was involved in the Iran Hostage Crisis and the assassination of the Shah’s nephew in Paris. Throughout the decades since, it has been involved in the bombing of the US embassy in Beirut, the Lebanon Hostage Crisis in 1982, a string of bomb attacks in Paris, the murder of Kazem Rajavi (the founder and leader of the MEK), attacked the Israeli embassy in Buenos Aires in 1992 and 1994, and attempted to assassinate the Saudi ambassador in Washington DC. 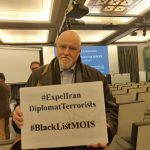 “Terrorism is used to support Iran’s political agenda in the Middle East and extend its influence on the “Shiite crescent” (Iraq, Syria, Lebanon), to fuel tensions in the Gulf Area…, to provoke the Israeli “arch enemy” … and to eradicate opponents living in exile,” Moniquet writes. These four objectives underpin the Iranian terrorist machine. The regime uses its terror cells in Europe and around the world to further these objectives. The mullahs have employed terrorism to further these aims since the regime’s inception. With these objectives in mind, it becomes clear why the regime is now intensifying its terror activities across the world. The plots against the MEK were a deliberate attempt to damage the group and reduce its influence both abroad and within Iran. Since 2017, protests within Iran have spiraled. The MEK has been instrumental in organizing protests within the country. “Thus, to eradicate the opposition inside and outside Iran is a strategic goal for the regime for its survival,” Moniquet asserts. Moniquet also suggests that the West’s inaction to previous terror attacks has contributed to a feeling of complacency within the regime that it can get away with terror attacks with relative impunity. “Tehran understood that it was possible to threaten and even attack Europe without having any price to pay,” he says. “Those attacks benefitted Iran,” he added. Following attacks and bombings in Lebanon Western forces from the country, giving the Iranian regime what it craved. “Appeasement was the only European answer to the mullahs violence,” Moniquet writes. Moniquet examines the regime’s mechanisms for planning terror attacks. He describes how the Supreme National Security Council (SNSC), presided over by President Hassan Rouhani makes the regime’s decisions regarding terrorist operations and matters of national security. The council has 12 permanent members including senior members of the regime leadership like Hassan Rouhani, Mohammad Ali Jafari (the head of the Islamic Revolutionary Guard Cops), Mohammad Javad Zarif (the Minister of Foreign Affairs), and Mahmoud Alavi (the Minister of Intelligence). Eight of the twelve members of the SNSC are under the direct control of the Supreme Leader, indicating that the Supreme Leader himself is implicit in the terror network of the Iranian regime.